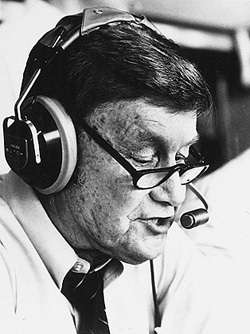 DawgsOnline » Larry Munson, 1922-2011. Rest in Peace. Larry Munson, 1922-2011. Rest in Peace. Larry Munson died at his Athens home Sunday night with complications from pneumonia, his son Michael said through UGA. Shelving what I was writing about the Kentucky game. Can’t think about yesterday or anything else right now. Prayers are with Larry, Michael, and the rest of the Munson family. As private of a man as he was, there is no more public symbol of what it means to be a Georgia fan. Comments Off on Larry Munson, 1922-2011. Rest in Peace.